Regardless of when your Barcelona holiday is planned, it’s important to remember to wrap up the last month of vacations in a memorable way. Throughout the month of August, Barcelona offers a number of festivals and events that are sure to appeal to everyone. Mas i Mas is a music festival from 28 July until 1 September with a variety of performances from local and national artists. Venues across the city of Barcelona will open their doors to the sounds of jazz, techno, flamenco, and more! The Circuit Festival is touted as the international LGBT event, attracting more than 70,000 people each year! The festival lands in Barcelona from 5-16 August, and then travels to Ibiza from 19-23 August. One of the most interesting and decorative festivals is in the Gracia district of Barcelona. 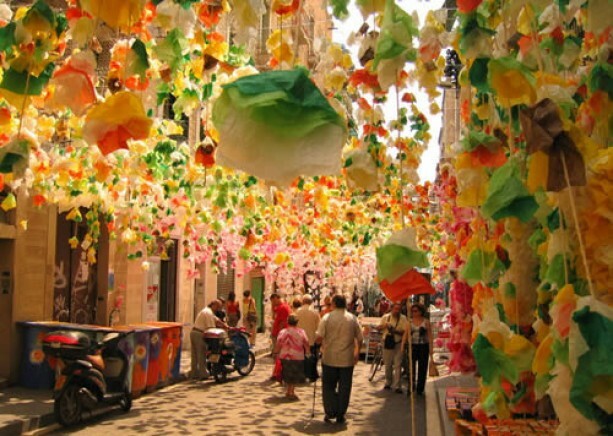 The Festa Major de Gracia is an bright, colorful, and loud festival where the local businesses use their collective imaginations to decorate their neighborhoods using only recyclable materials. The results are awe-inspiring! The fun happens during the week of 15 August, but if you can’t make that, there is another similar festival in the Sants neighborhood during the week of 22 August. Also plan to see statue of Zeus at Oympia once in a life time. Nits Gaudi, running from 25 June until 15 September, is a low-key way to admire Gaudi’s work in a calm environment. Located near the summit of Tibidabo, the site is easily accessible by bus or train. On Sundays from 28 June until 20 September, Piknic Electronik is a great way to enjoy electronic music while the sun is still out. 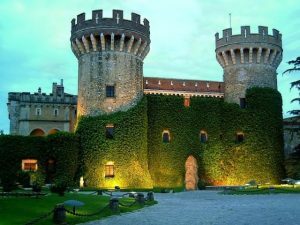 If you’re looking for an evening activity, the Castle of Monjuïc opens its gardens to host outdoor movie nights every Monday, Wednesday, and Friday evening from 3 July unitl 7 August. Even just outside of Barcelona, you can find three massive music festivals, each with their own unique flavor. Be sure to check out the BioRitmo Festival, Cap Roig Festival, and Castell de Peralada Festival, each featuring different styles of music and stunning backdrops. As you can see, August is the perfect opportunity to end your Barcelona summer vacations with some amazing memories! For more information about these festivals, feel free to contact Catalunya Casas.